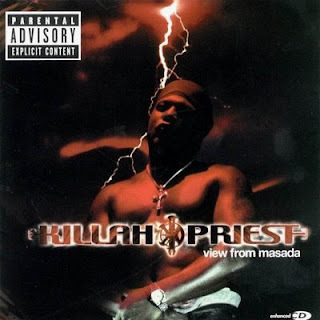 The second solo album from Wu-Tang Clan-affiliated rapper Killah Priest, View From Masada jumps out the box banging, with tracks like "Hard Times," "Maccabbean Revolt," and the title track. Killah Priest is joined on View From Masada by Ras Kass ("Whut Part of the Game?") and Canibus ("Bop Your Head"). Priest brings heat on every track, at times elevating his lyrical game numerous notches. Primarily produced by Just Blaze and Wiz, the album is laced with enough rich tracks and vibrant beats to rock any Range Rover or Land Cruiser. Some of the other highlights here are "Gotta Eat," "Rap Legend," and "I'm Wit That," which was produced by Shamello and Buddah. View From Masada is a mature sounding, well-conceived sophomore effort. 12. When Will We Learn?